Here at Jenoli, we are heating and plumbing experts. So you can count on us for all your boiler requirements. From installation, to repair maintenance and servicing, we can offer a top quality, and high value service. And we can keep your boiler in full working order. But when it comes to boiler installation, one of the most important things to consider is where to install the new boiler. From the kitchen, to the attic, there are many location options. As a result, we have produced this guide to considerations for boiler installation locations. A combination boiler, the smallest and lightest type of boiler, can still be incredibly heavy when it is full of water. As a result, it is important to choose a strong wall that will cope with the pressure and strength. A brick wall will be much better than a plasterboard partition for example. While air vents used to be an essential part of boiler location, it is no longer necessary to consider air vents for the majority of modern combination boilers. This is because these boilers are incredibly energy efficient. So you can now store your combination boiler in a cupboard or space without air vents. 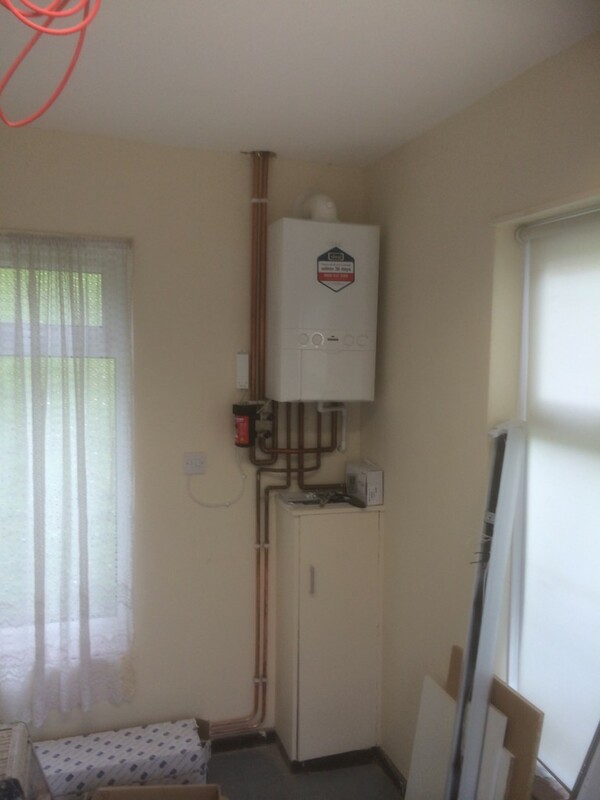 The boiler is connected by pipework throughout your home. And it also relies on a flue pipe to carry waste gases away from the boiler and out of your home. As a result, there are minimum distances that need to be adhered to in relation to the flue. Including the distance from windows, buildings and air bricks. This may influence your decision about where to install your boiler in the first instance. For any help and advice, contact us at Jenoli today. Why choose a condensing boiler?